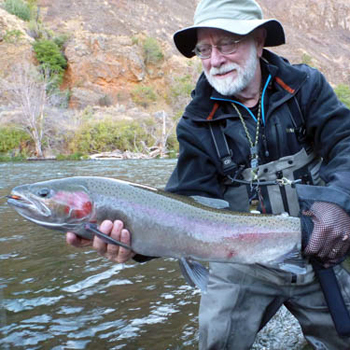 Scott Richmond is the award-winning author of nine books on Oregon fly fishing, including Fishing Oregon's Deschutes River and Fishing in Oregon's Endless Season. In addition, he has written numerous magazine articles and hundreds of internet articles. His novel River in the Sun—three love stories wrapped around a thriller core and set on the Deschutes River. Also known as "Uncle Fuzzy," Scott is the creator and executive director of Westfly, the leading website for Western fly anglers. He is a past president of the Northwest Outdoor Writers Association and is a recipient of the Enos Bradner Award, that organization's highest honor.